A damaged Clay County (Garfield Township) road. 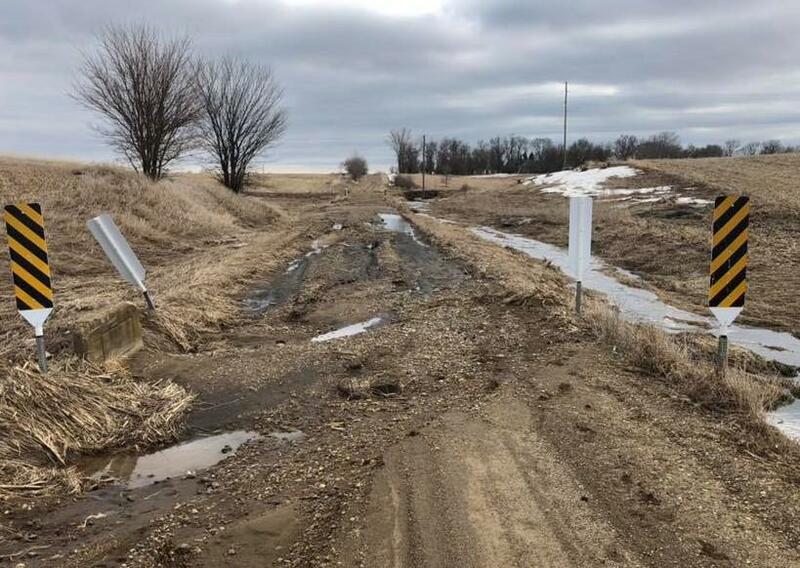 Several counties in southeast South Dakota are saying that some of their county roads and highways are in such condition that they can't put plows on them when this week's snow hits. Some roads are too soft that even a small passenger car can create a "waterbed" effect on them. 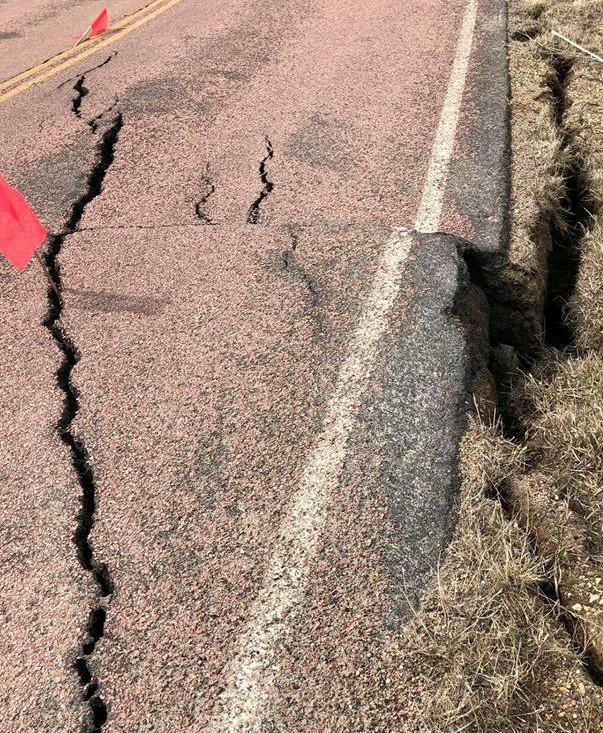 Barry Van Osdel toured roads in Yankton County on Tuesday. He's a County Supervisor for Gayville Township. Several county roads in southeast South Dakota are impassable.